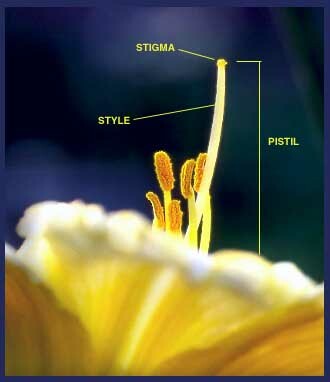 The central portion of the pistil between the seed-bearing ovary and the pollen-receiving stigma. Styles can be elongated like in a daylily, very long as in corn silks, or short and even indistinguishable as in some mulberries. Also see: Ovary, pistil, stigma.